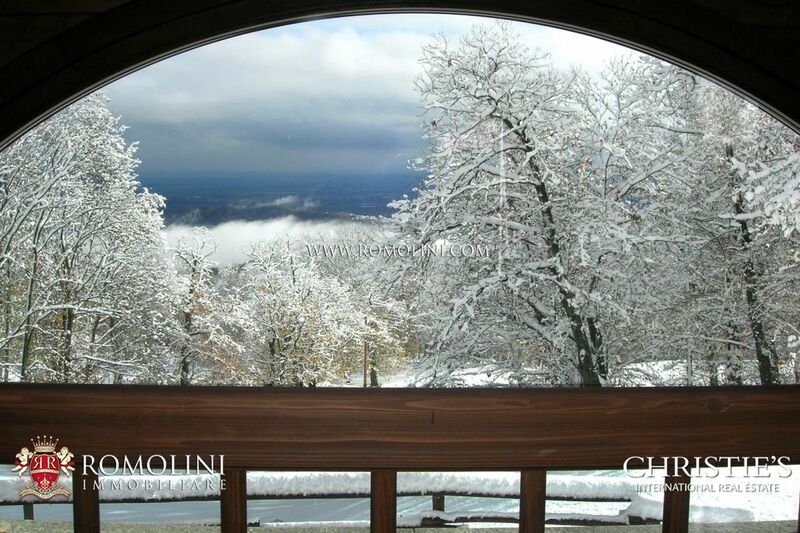 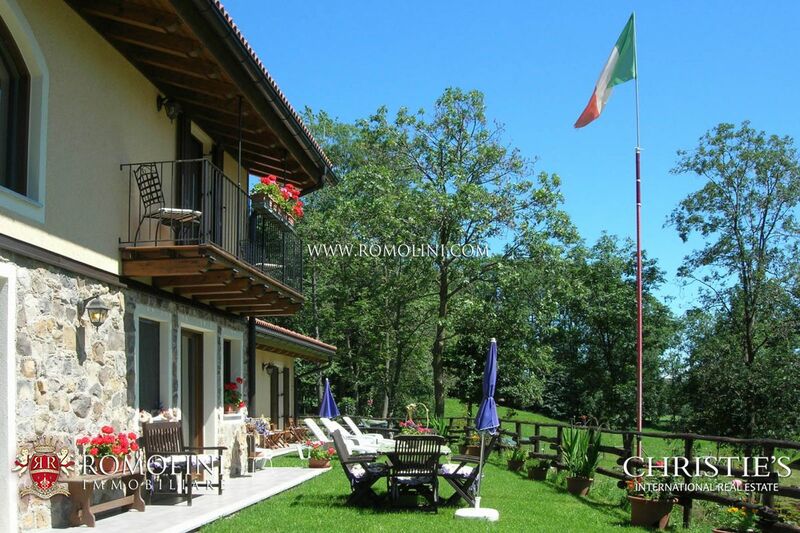 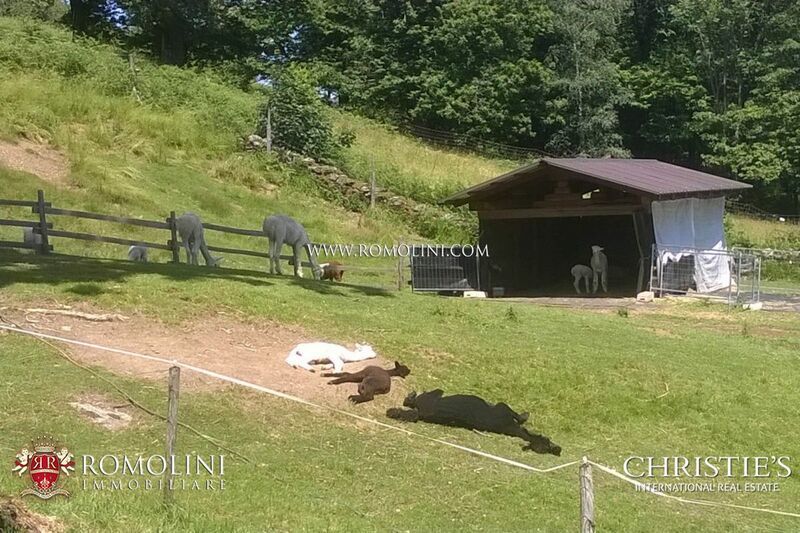 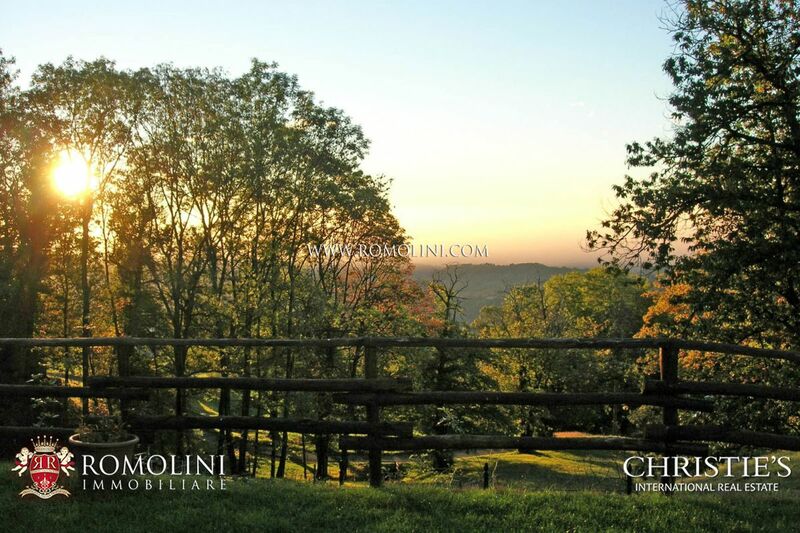 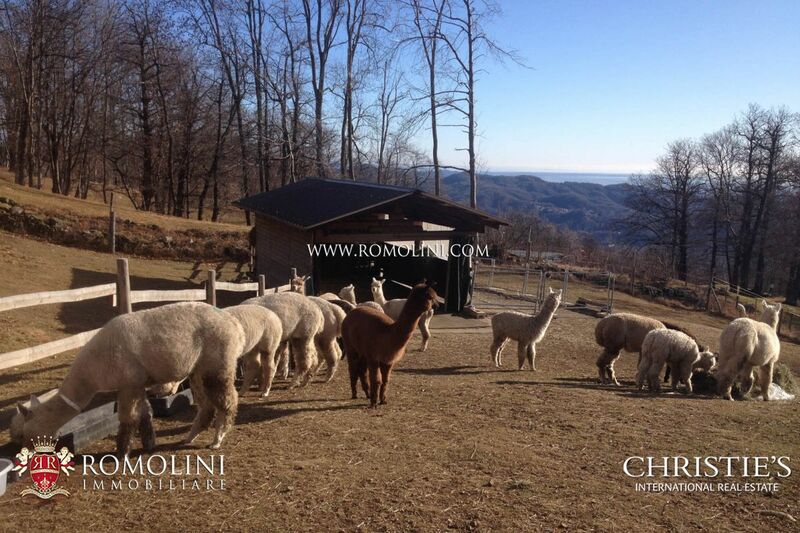 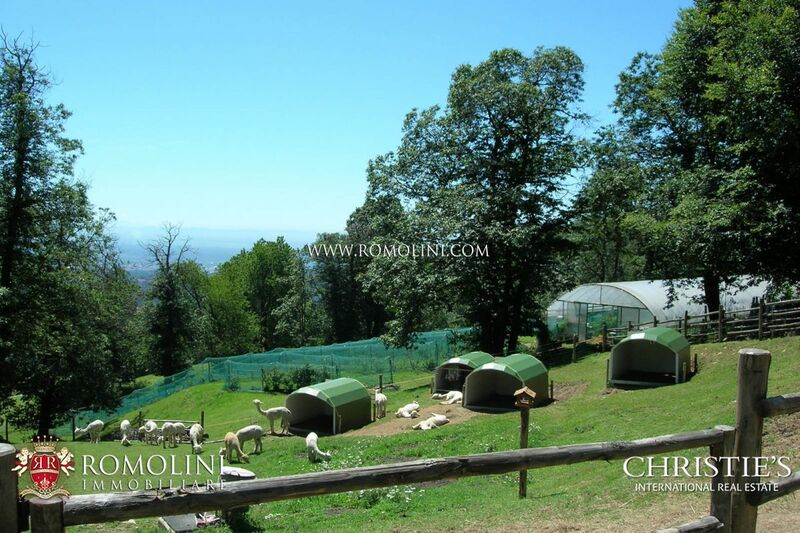 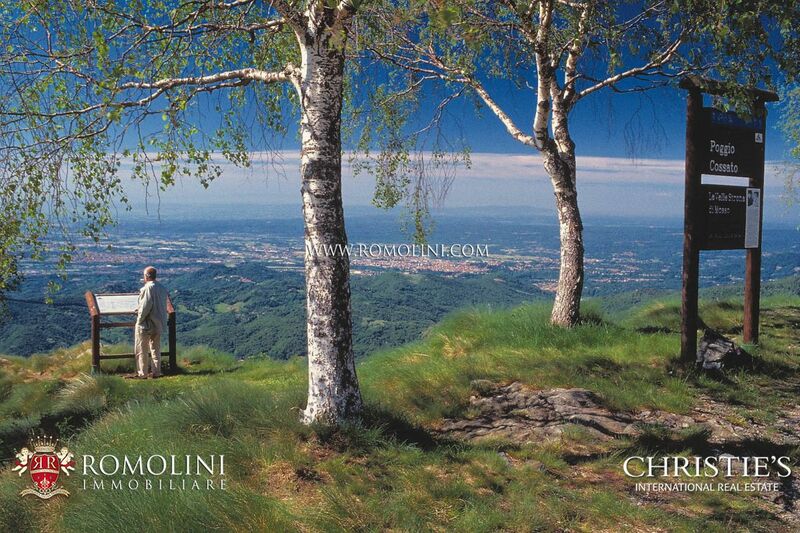 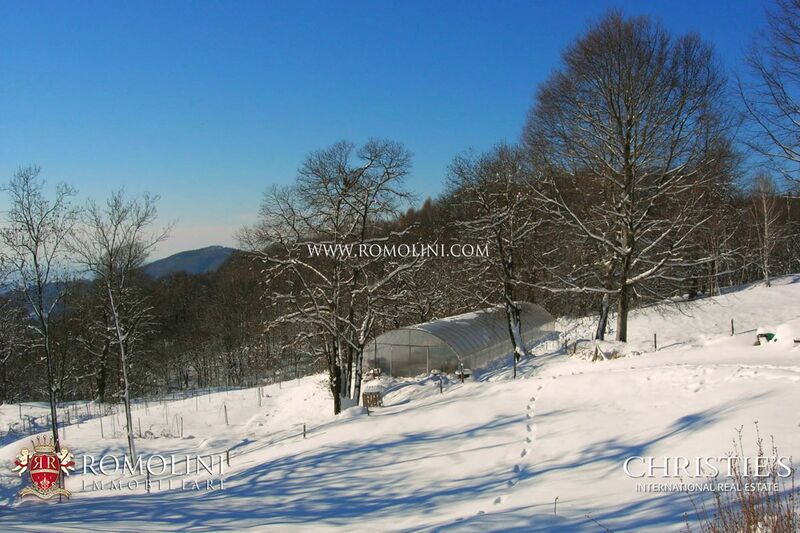 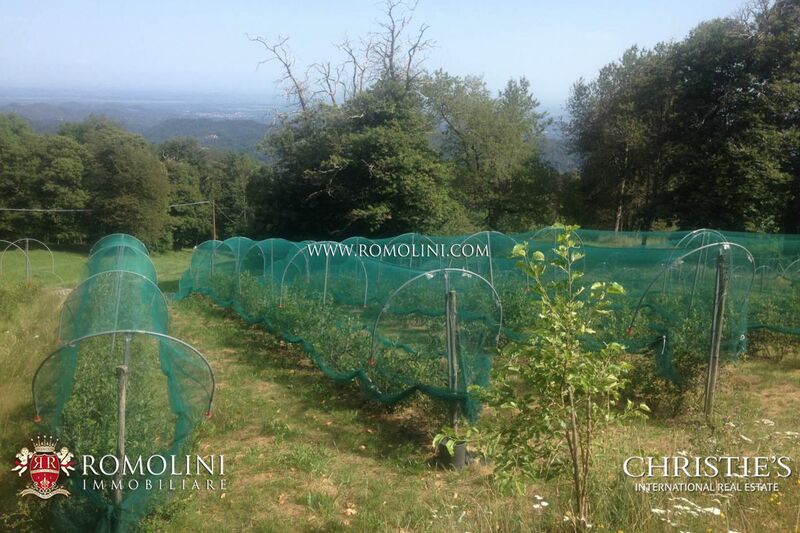 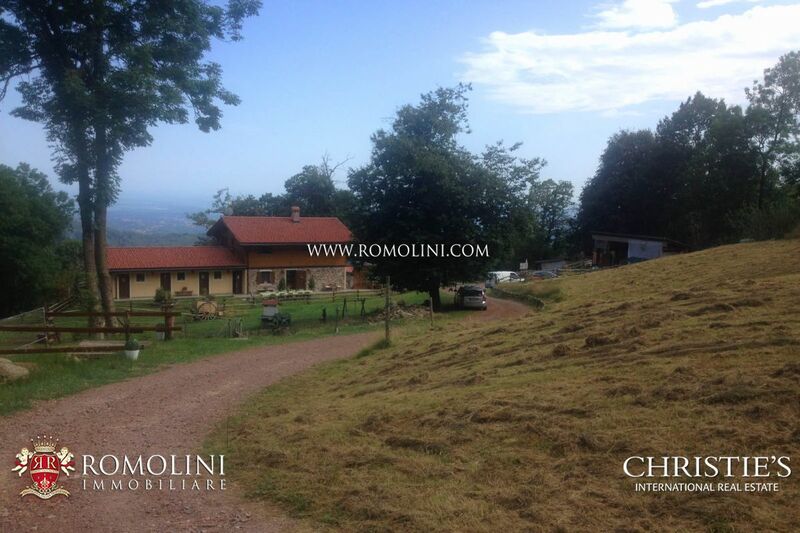 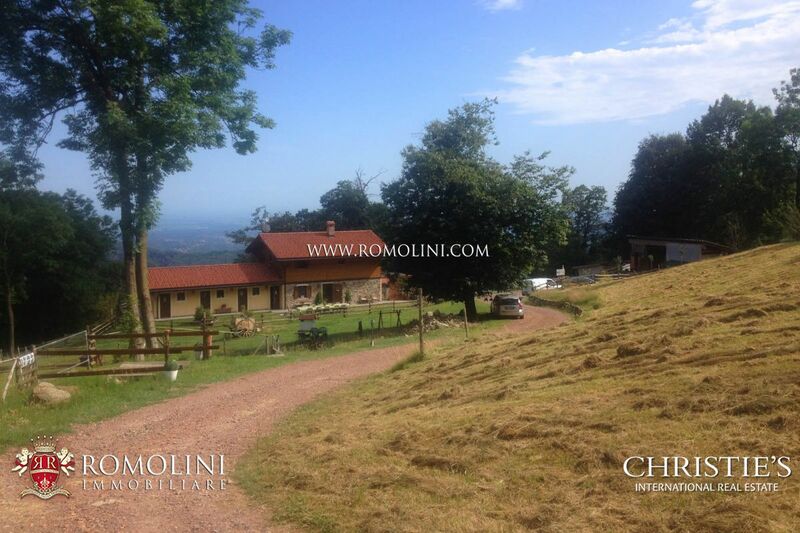 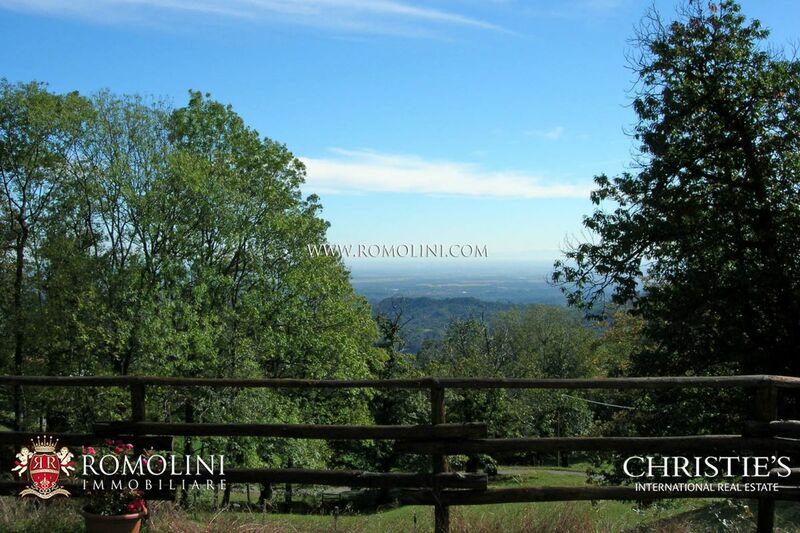 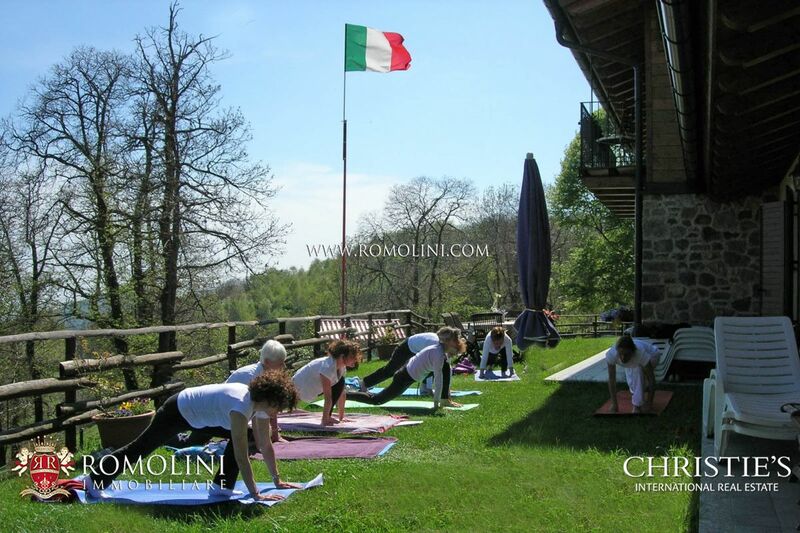 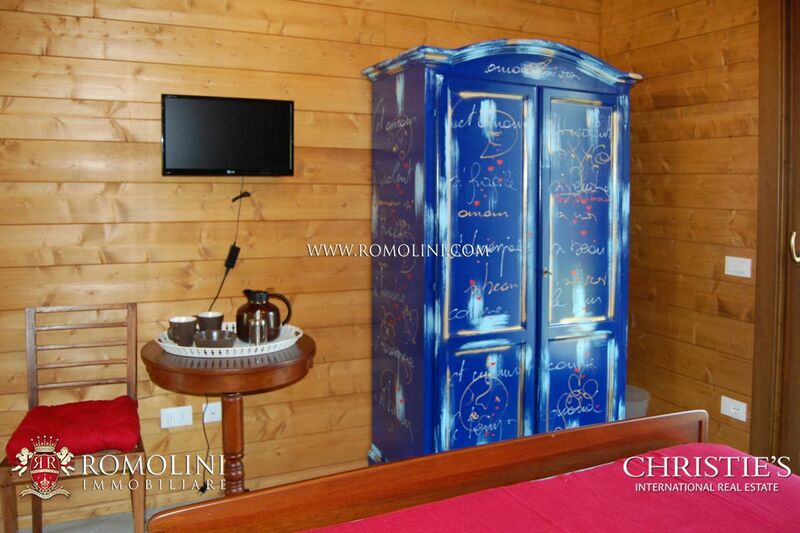 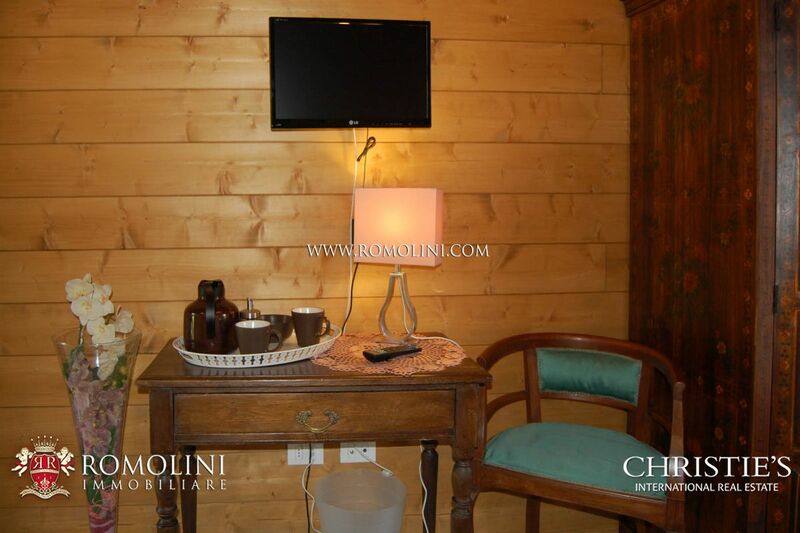 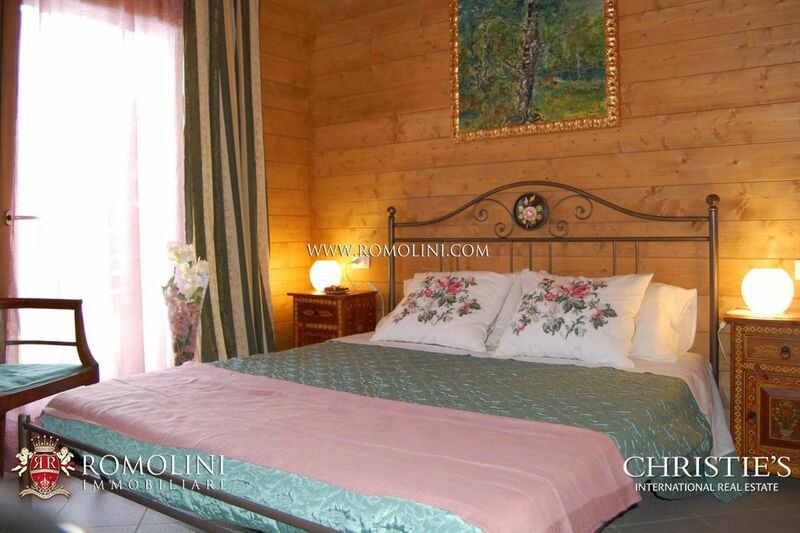 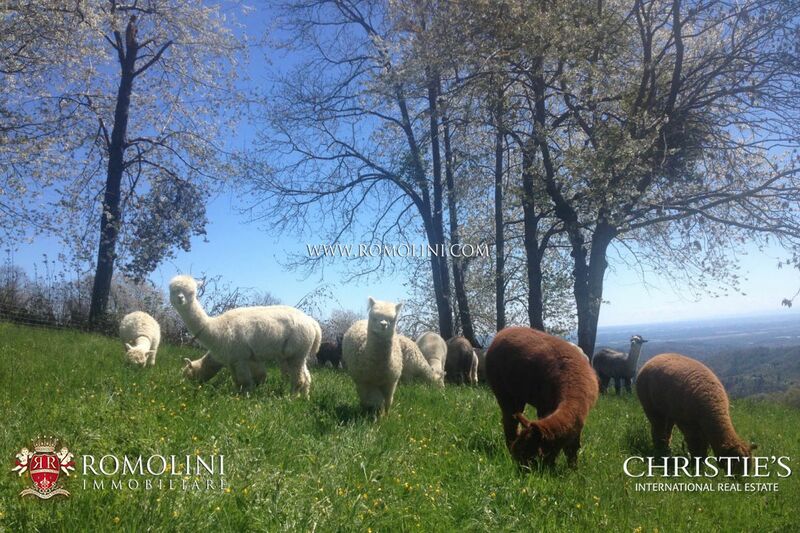 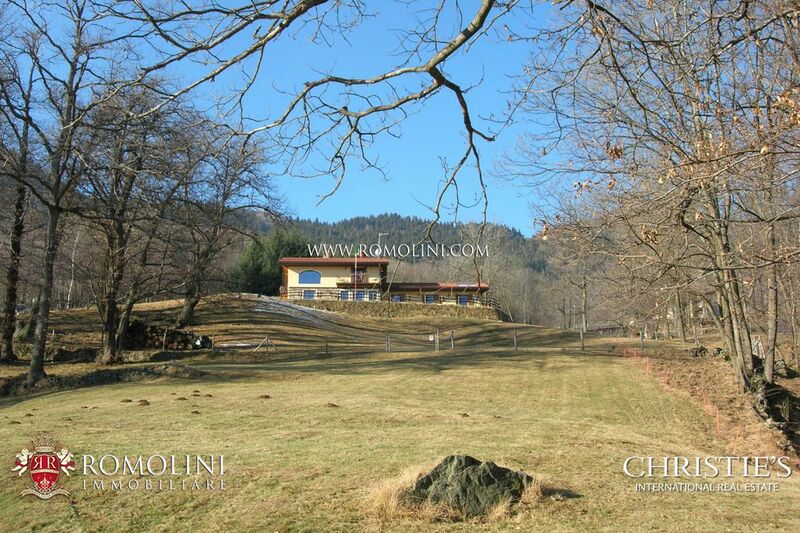 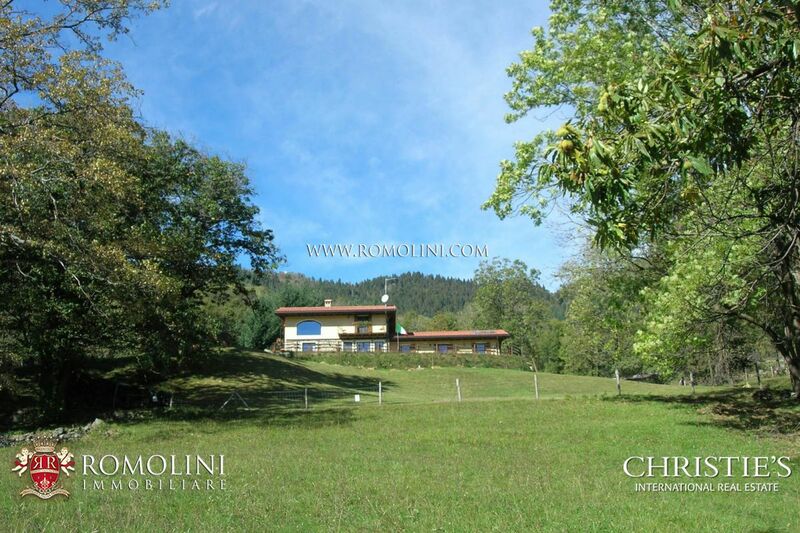 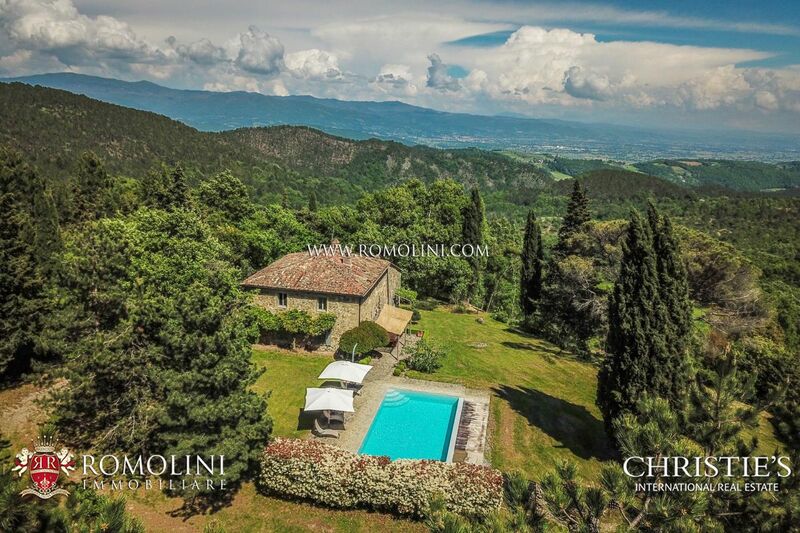 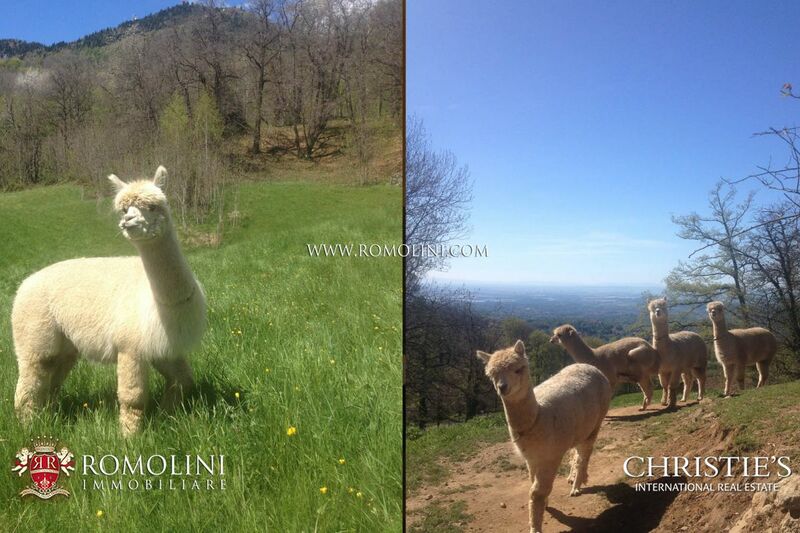 In Piedmont, Agriturismo with outbuildings and blueberry orchard. 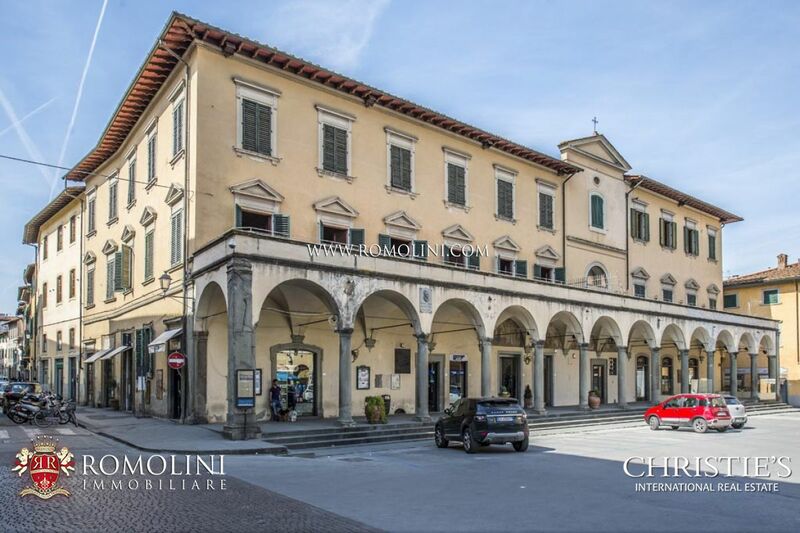 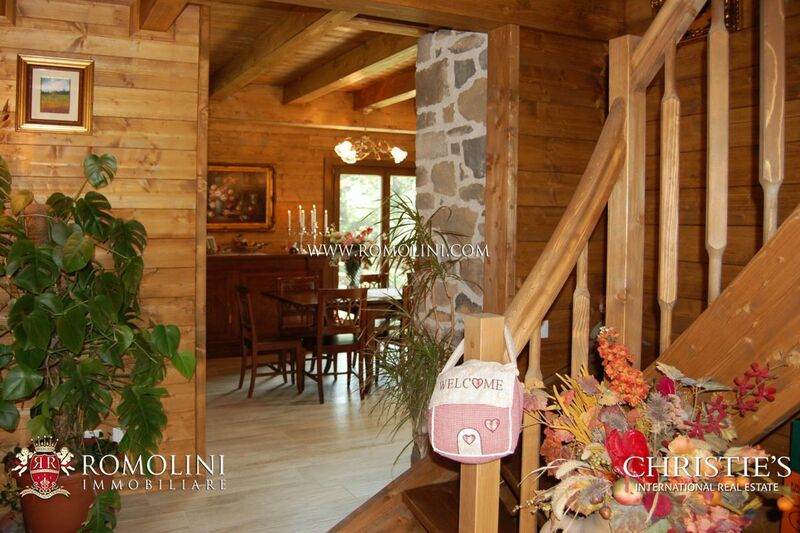 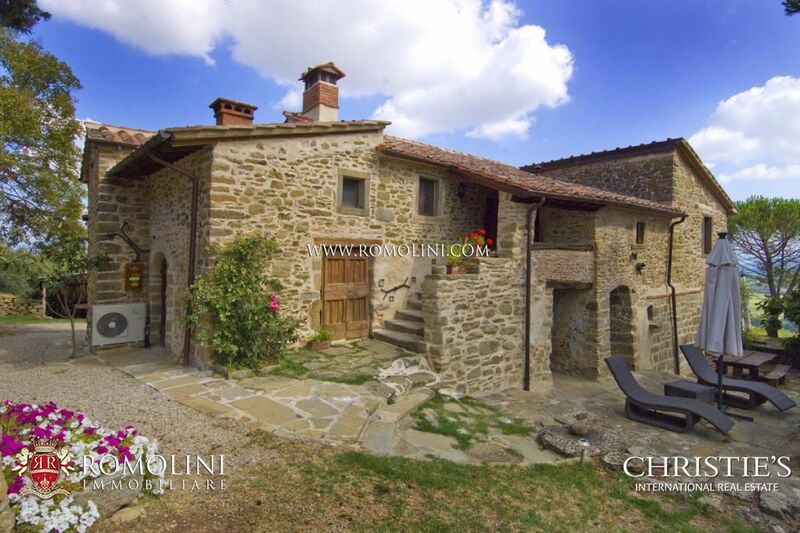 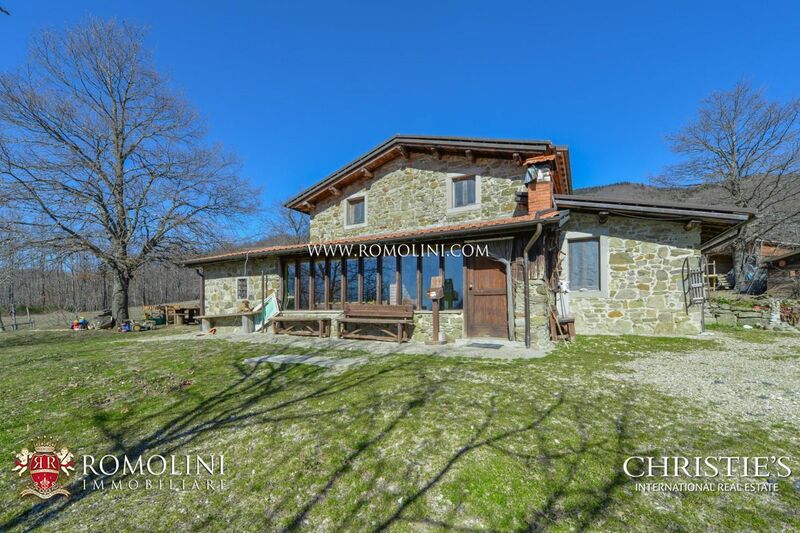 The property is located in the Oasi Zegna, a natural area in the province of Biella, which is only one hour away from Alagna Valsesia (Monte Rosa), Lake Maggiore, Lake Orta and half an hour away from the main fashion outlets around Biella. 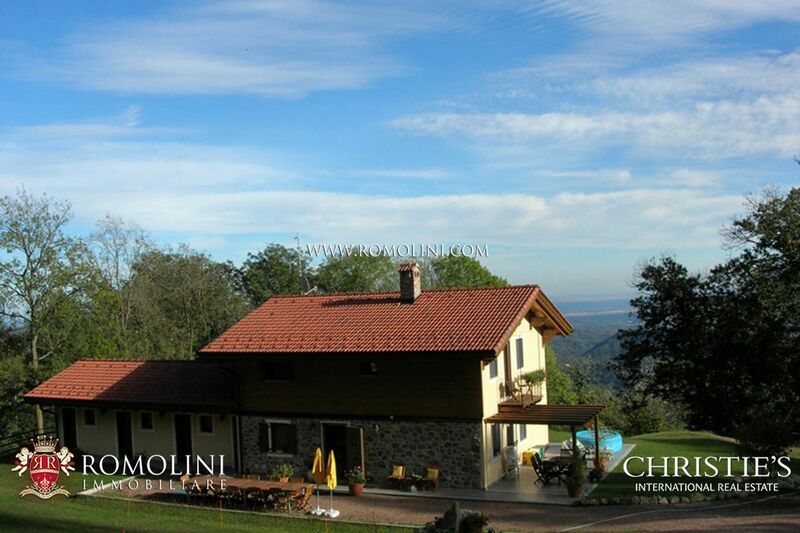 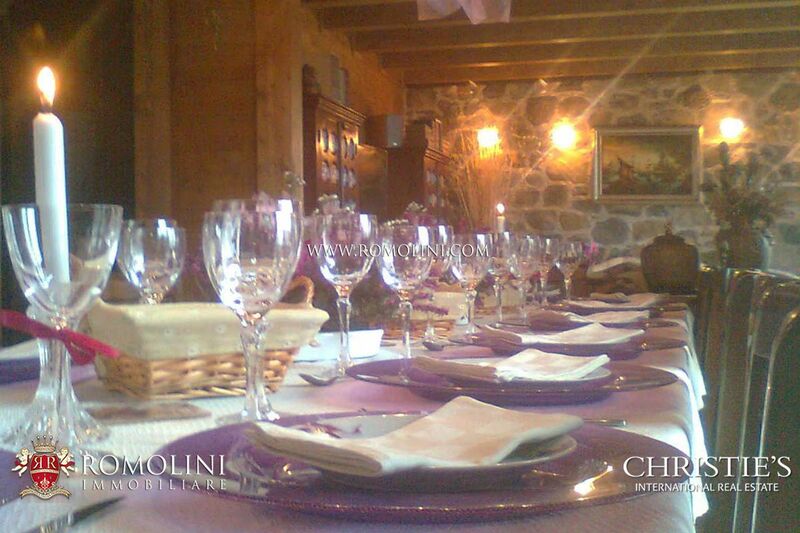 The property overlooks the valley, is in an isolated and peaceful location, but within easy reach of facilities. 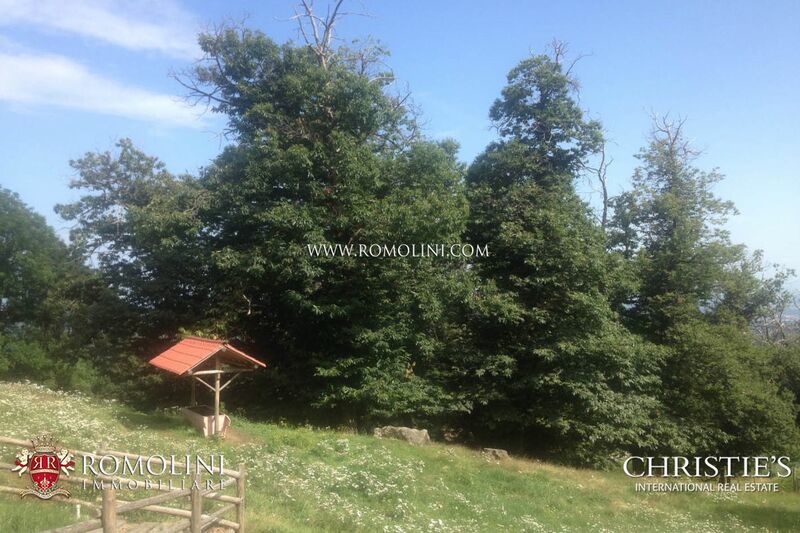 It is exposed towards South, at 900 m a.s.l. 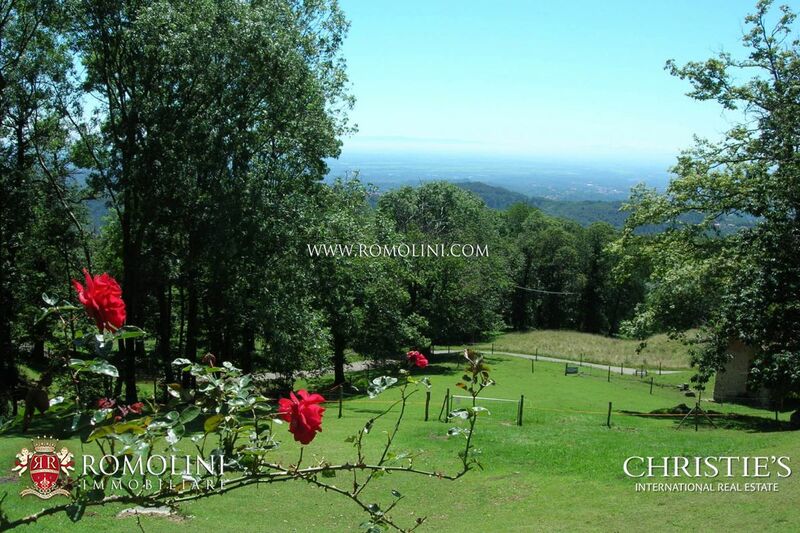 and it boasts stunning views. 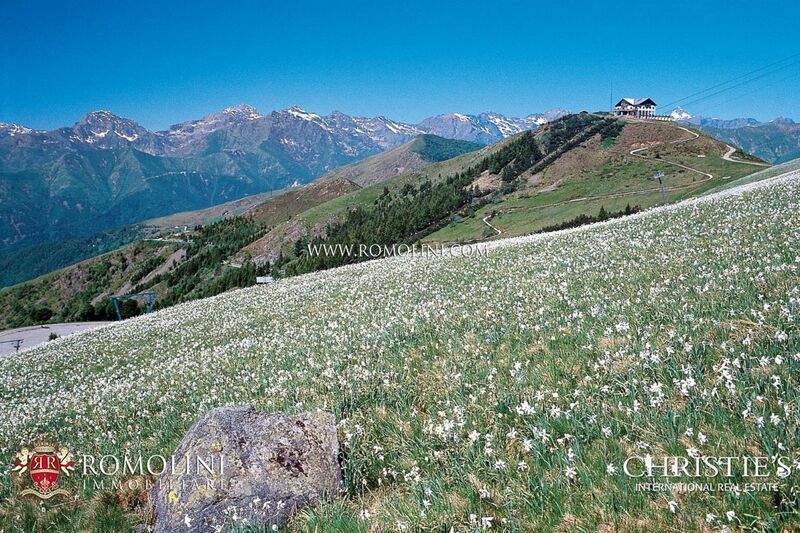 Located in a very temperate climate zone, during the day, even in winter, it enjoys a very mild and dry weather. 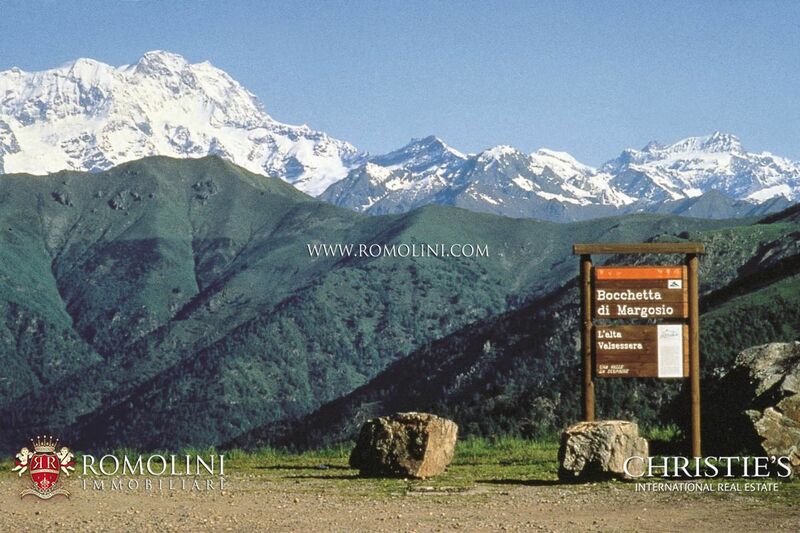 The ski slopes of Bielmonte are 11 km away. 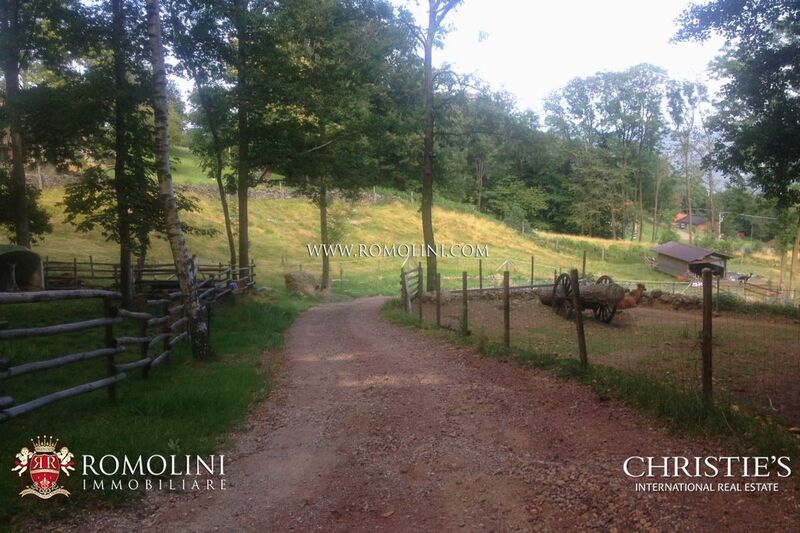 In the property there are numerous paths leading to 1600 m, where you can go on foot, riding a horse and by mountain bike. 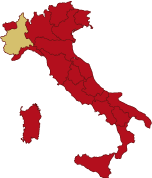 The nearest train station is 15 km away; Milan-Malpensa airport and Turin-Caselle airport are about one hour and fifteen minutes away. 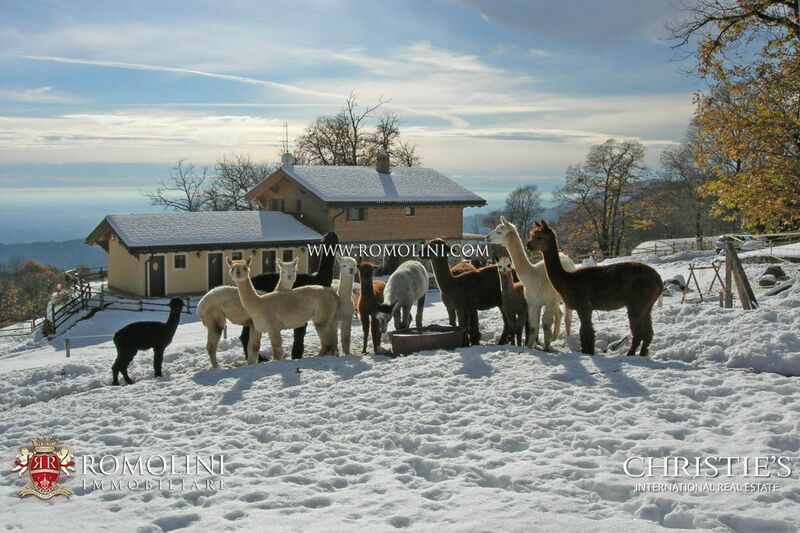 The property is composed of a main building (used for residential purpose) with a part used as B&B, barn/warehouse and a small house for the alpacas. 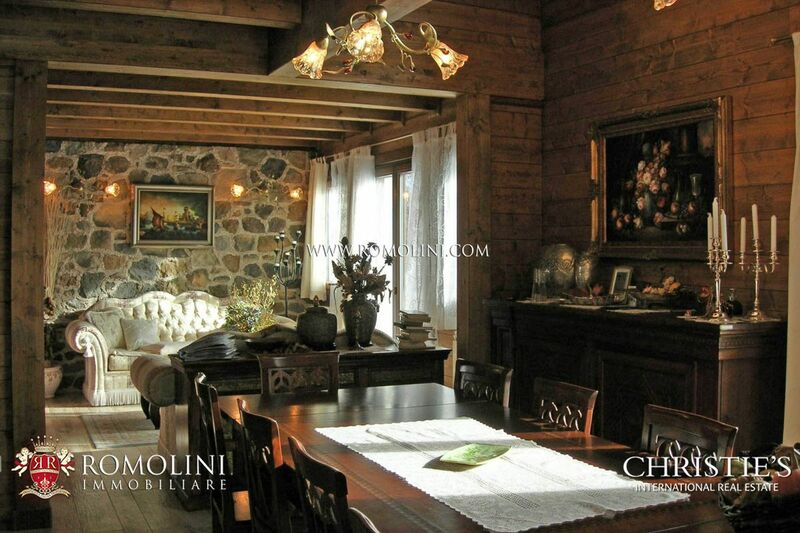 The main building has a surface of 160 square meters on two levels, composed as follows. 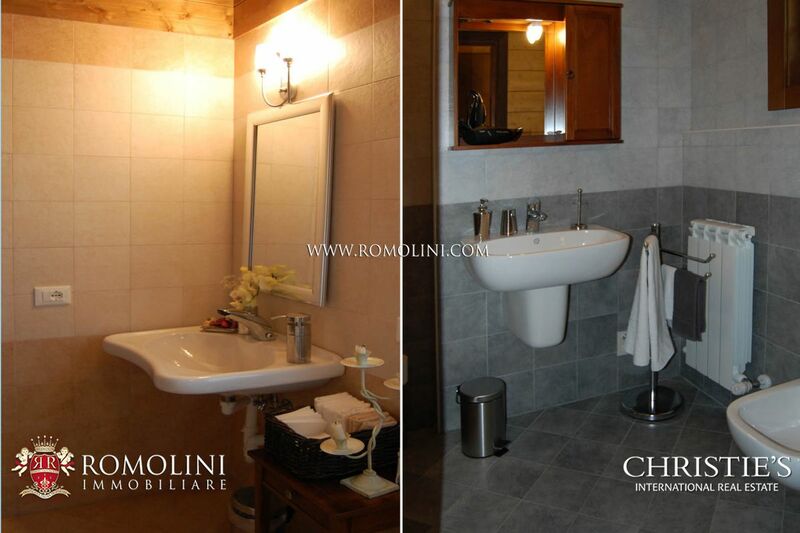 - Ground floor: entrance room, bathroom designed for use by disabled people, pantry, double living room and kitchen. 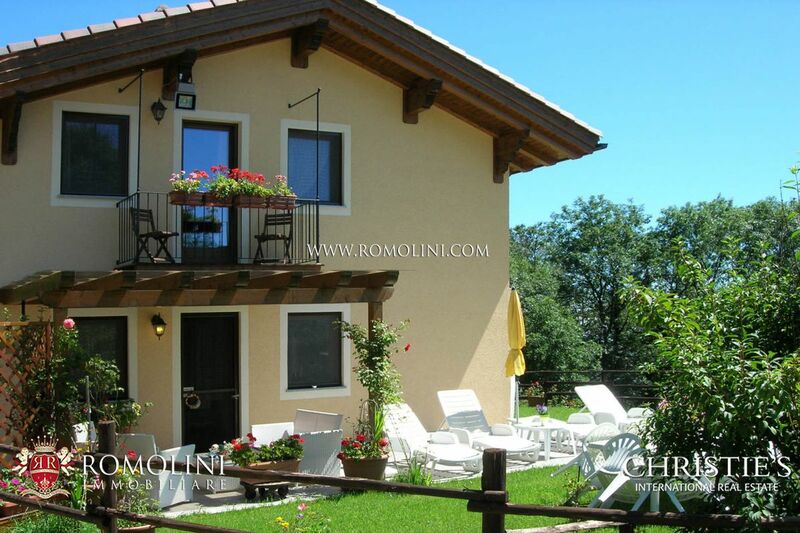 - A wooden staircase leads to the first floor, where there are two bedrooms, a walk-in closet, a bathroom and an office on a mezzanine floor with stunning views of the valley. 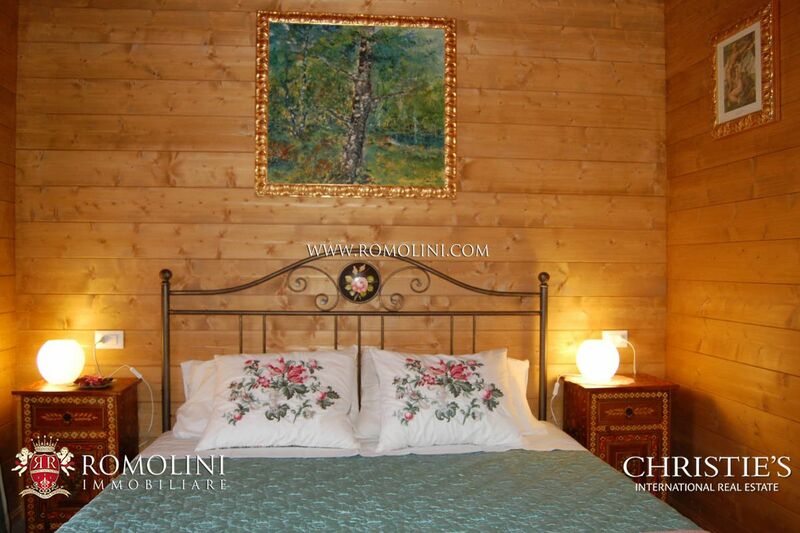 The B&B has a surface of 65 sqm and is made up of three double bedrooms with en suite bathrooms. 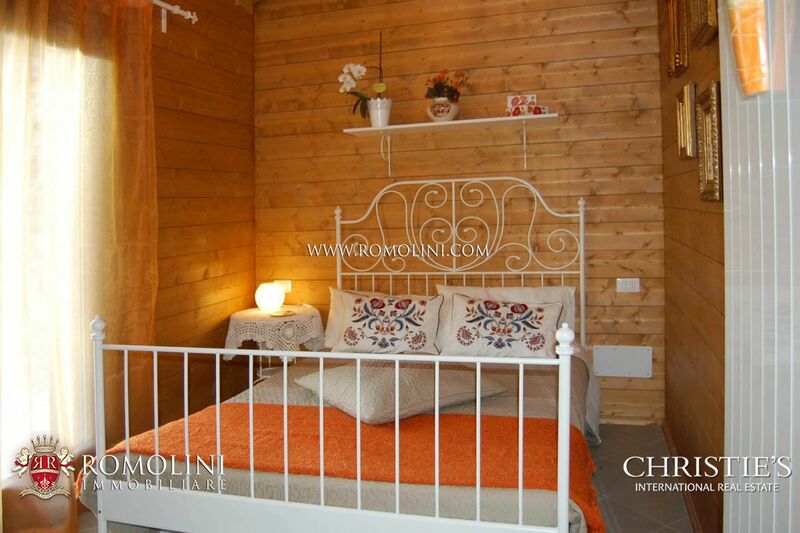 Every bedroom opens onto a garden/sunbathing area and is equipped with independent heating. 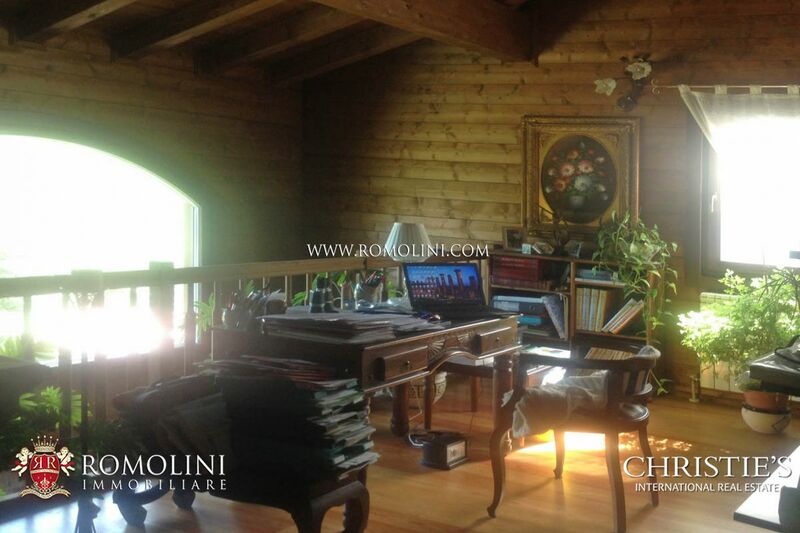 The barn/warehouse has a surface of 60 sqm and reach a maximum height of 3.65 meters. 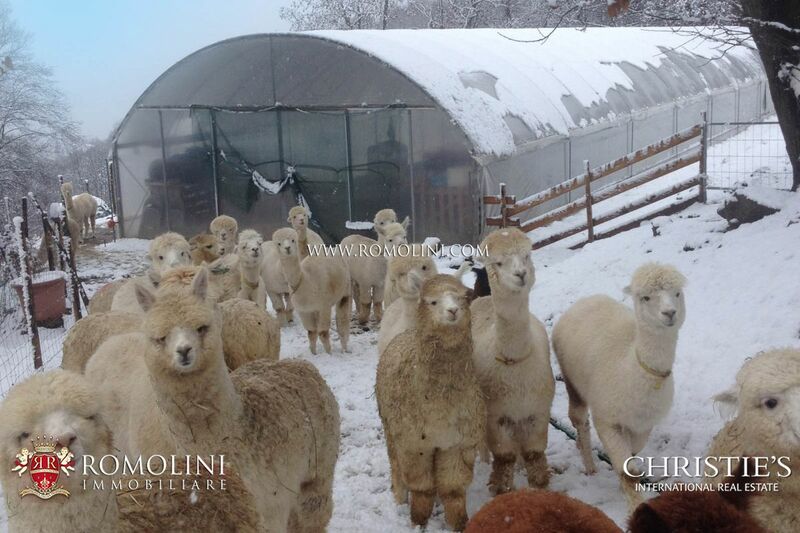 The wooden small house for the alpacas has a surface of 24 sqm. 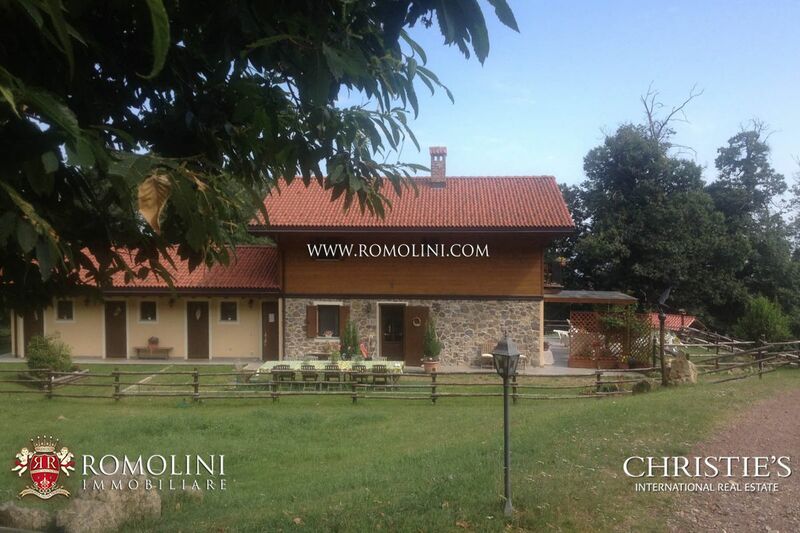 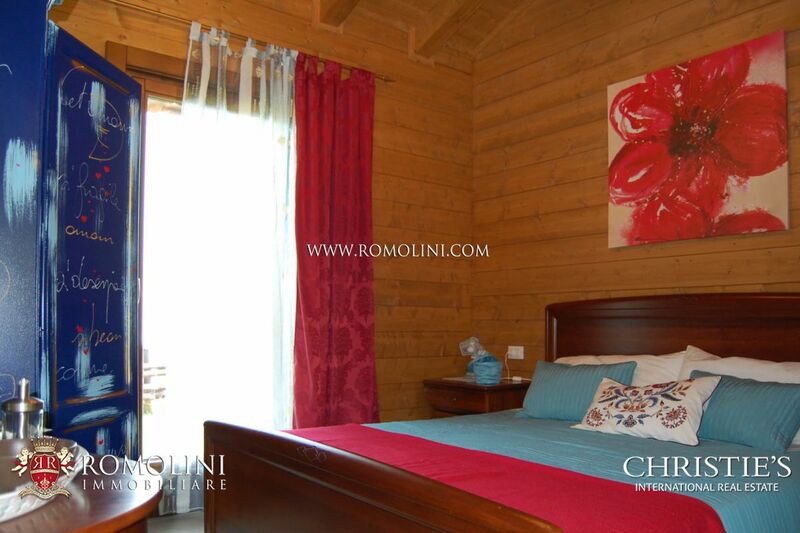 The property in rustic style is newly bult (2012) and is in excellent condition. 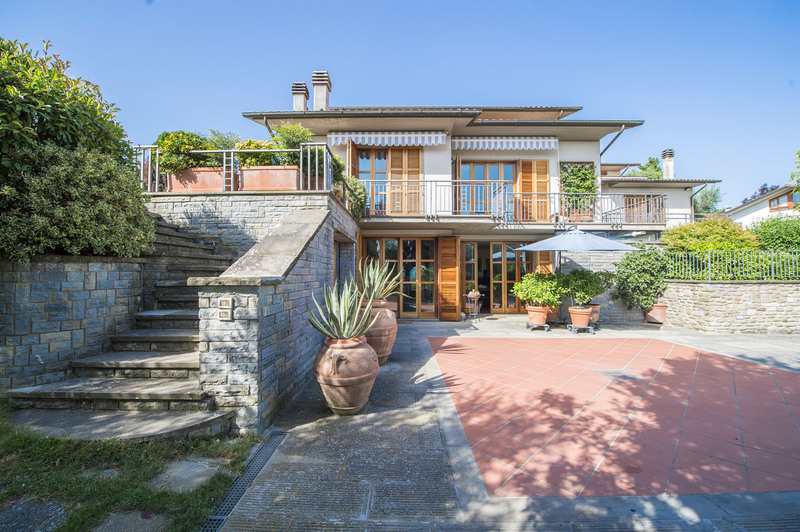 It features parquet floor, stone and wood-like porcelain stoneware floor, wooden staircase and rebuilt stone and glulam walls. 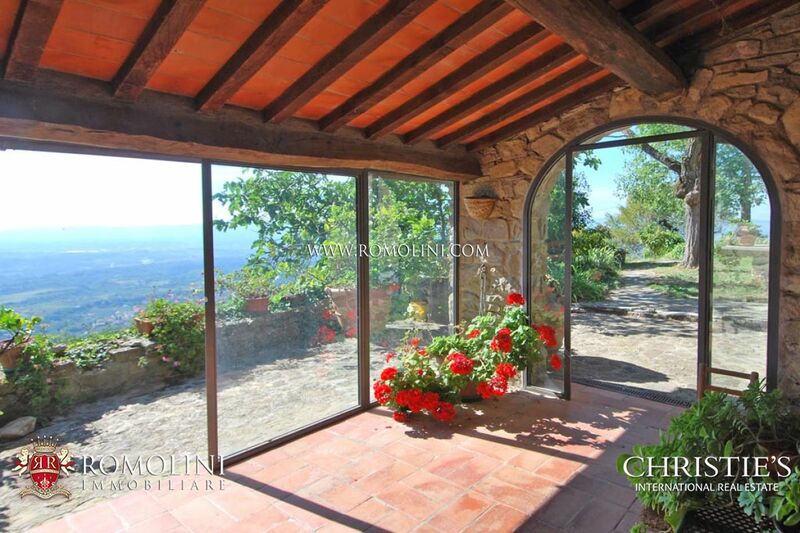 Moreover, it has triple glazed windows in the house, double glazed windows in the B&B, reinforced door and chimney for the fireplace. 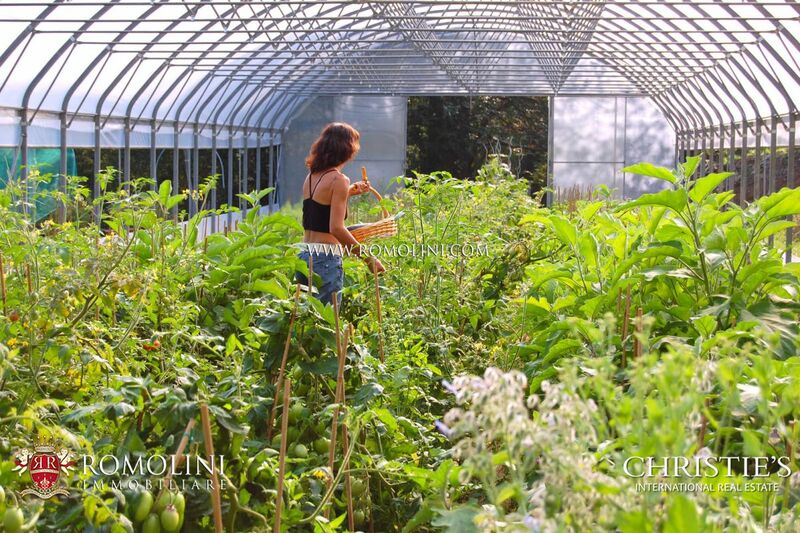 The main building is assigned to the energy performance class A with a very low energy consumption. 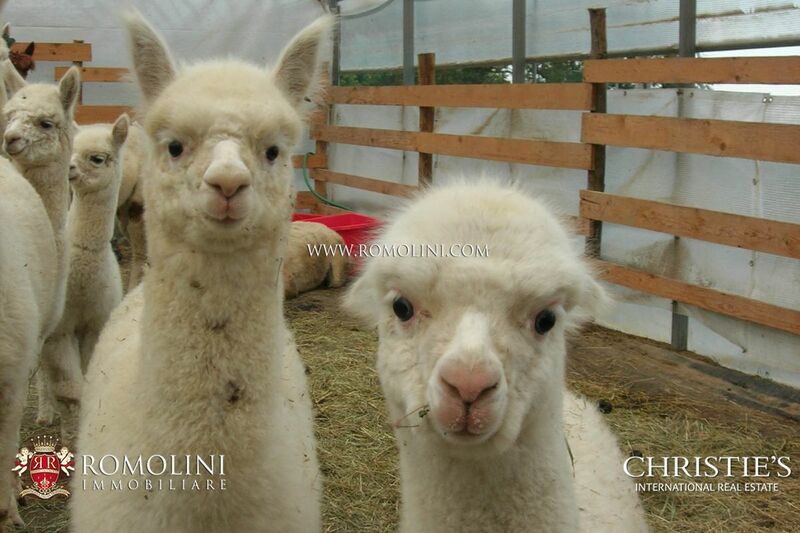 In the property there is a professional alpaca breeding with approx. 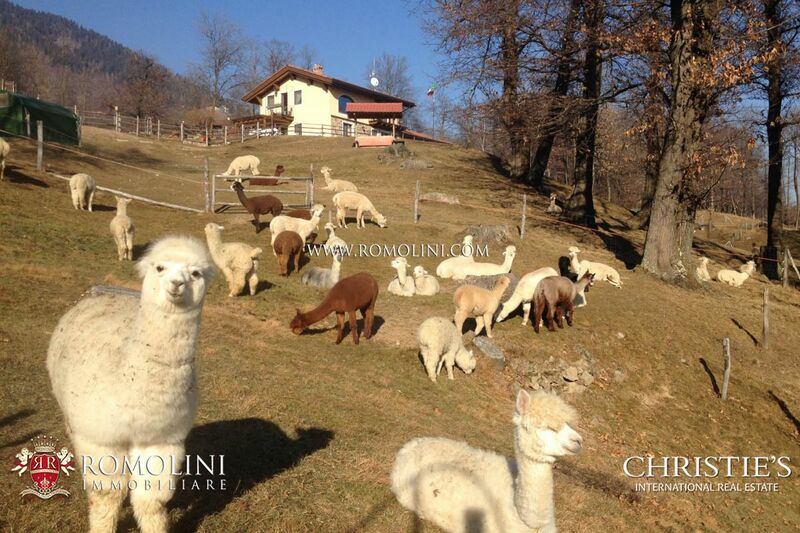 80 animals. 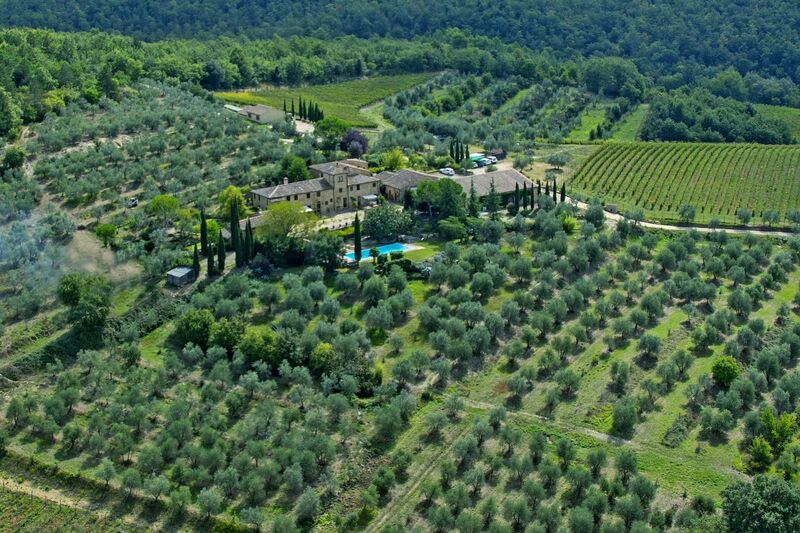 The main building is in the middle of 3.75 hectares of land, almost completely fenced, with grazing land, centuries-old chestnut trees and blueberry orchard with about 400 plants in production. 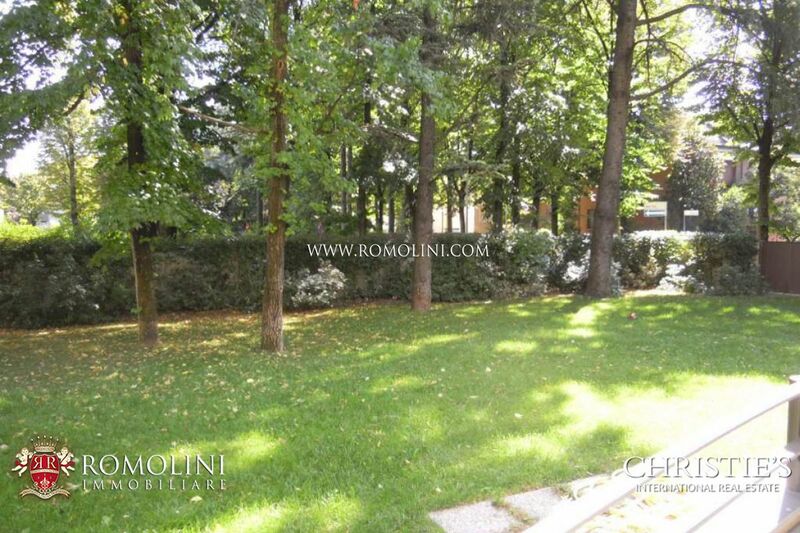 The garden around the main building is fenced-in and perfectly maintained. 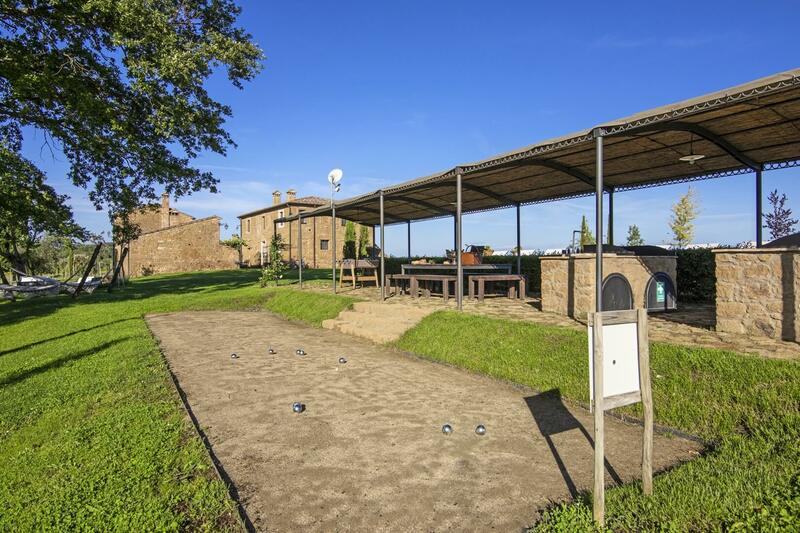 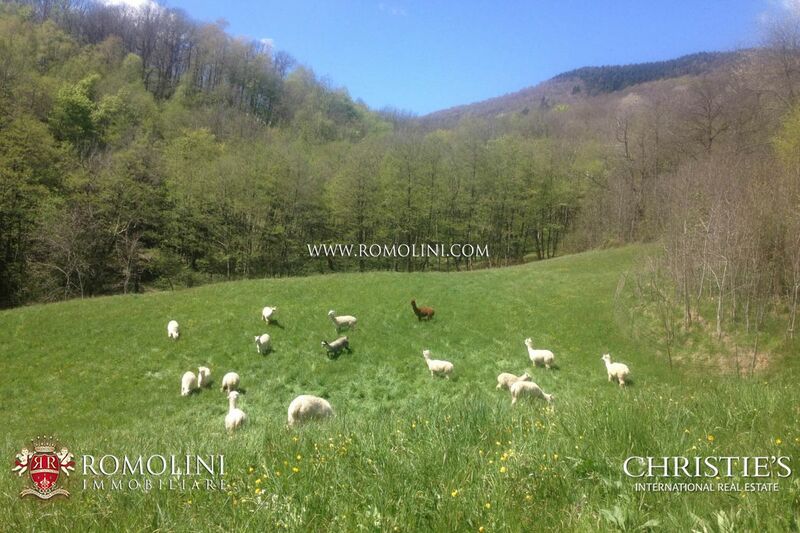 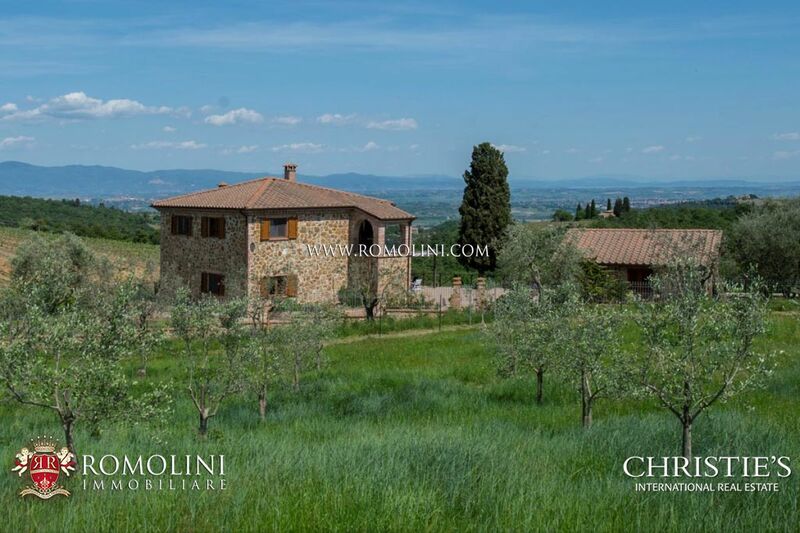 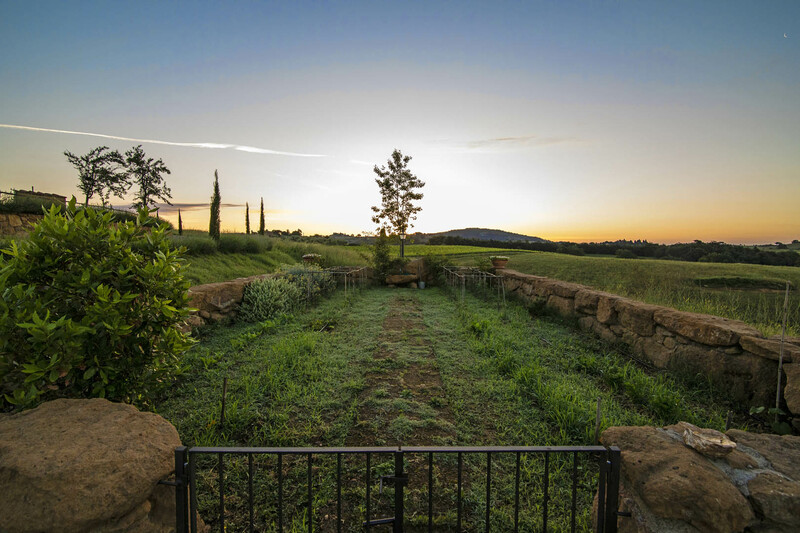 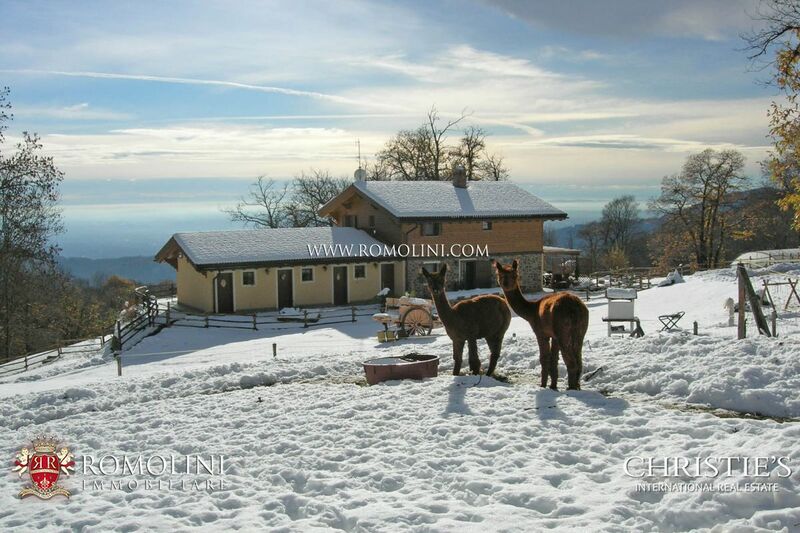 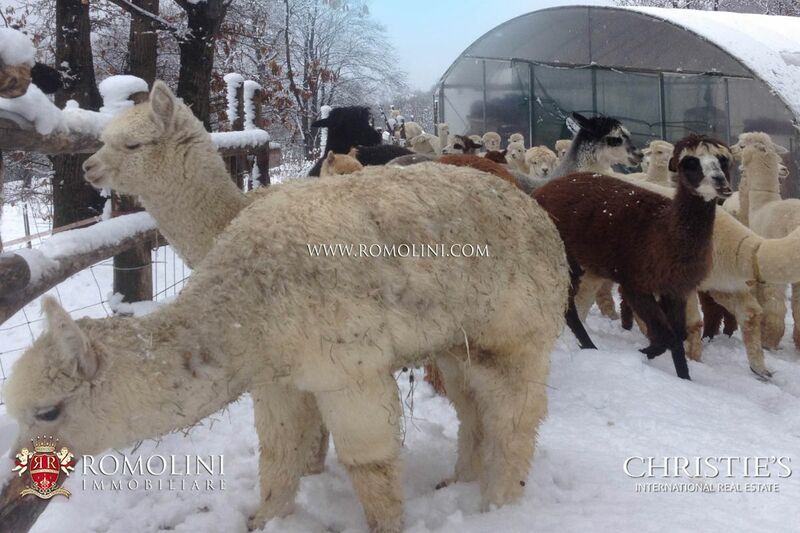 The property is currently being used as Agriturismo with alpacas breeding, cultivation of blueberries, greenhouse vegetable production and chestnut harvesting, but it is ideal for residential use. 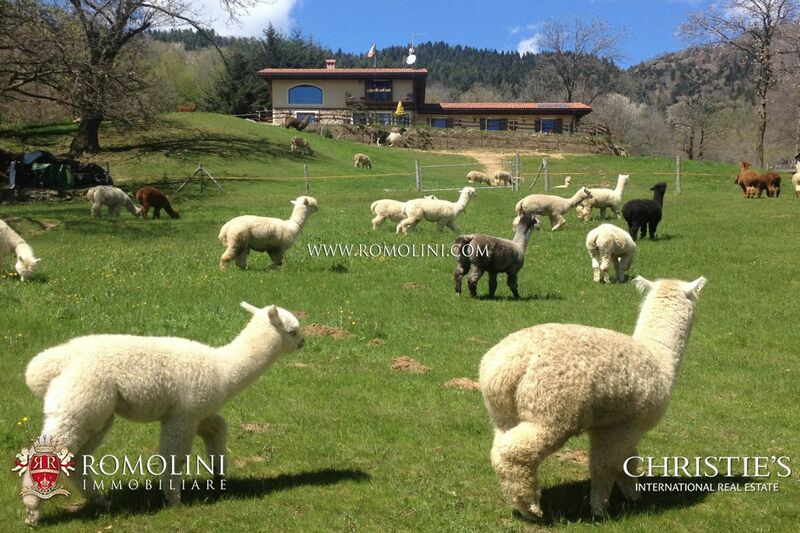 It is possible to purchase all the alpacas or only some of them with training course and settling-in assistance. 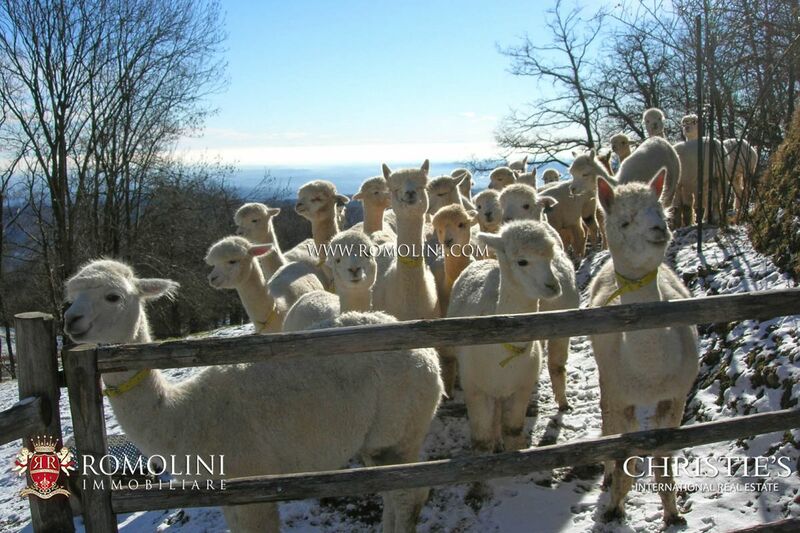 (The price of the alpacas is to be discussed).